From Bremerton, you can take a big ferry to Seattle, a littler one to Port Orchard and, at commute times, Annapolis. But what about Manette? That’s the thought of two business owners, who’ve joined forces to create a closer connection between downtown Bremerton and Manette. Hear from both the Boat Shed’s Kathy Davis-Hayfield and the Manette Saloon’s Rebecca Taylor on this week’s beat blast about this new prospect. Find out why the city is sounding the alarm about “gooseneck lead pipes.” To have yours tested, check out this Poulsbo lab. Learn Bremerton Mayor Patty Lent’s latest efforts to solve downtown Bremerton’s parking problems. Find out about the new foundation that’s been set up to support the city’s park system. 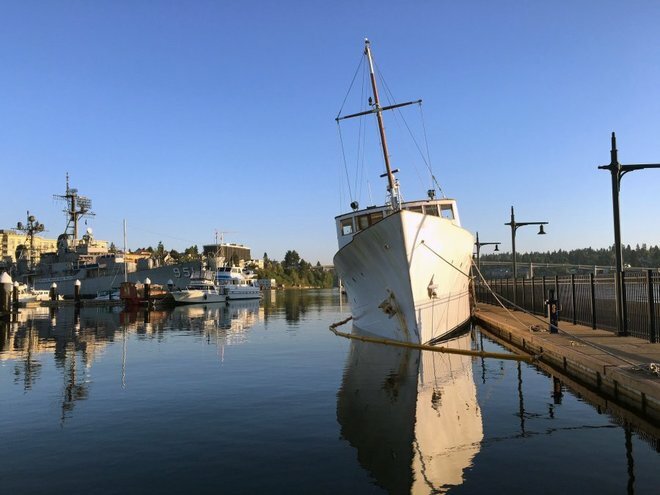 Discover which famed boat, which once carried Princess Elizabeth, is sinking at the Bremerton Marina. Questions? Comments? I love the feedback. Query me at josh.farley@kitsapsun.com.